Previous version Real Racing 3 5.6.0 apk for Android will help you to downgrade or install older app easily. This is one of the best Racing apps. The best layer and also the compact size of the car will give the real sense as your drive in the real life. In other hand, the best controlling of the game also will increase the real feeling there. Another thing that becomes something special inside the game is the events. Well, the events will provide the challenge that gives the new adrenaline for you. Winning the kinds of the events will be the best challenge for you. Inside this game, there are over 2000 events that can be your choices, such as the cup races, the endurance challenges, the drag races and others. Try to win every event to feel the new experience. 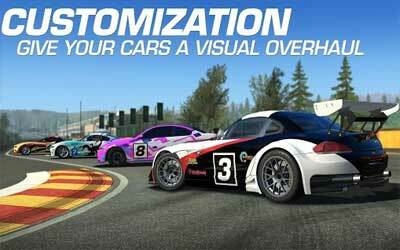 For you who want to have this Real Racing 3 for Android, you can download this game for free. This game needs 46MB in size of the storage. In other hand, the current version will give the new features of the game. However, you need to prepare some money when you want to have the complete version. It’s a really nice mobile racing game, can’t find any other racing games that have the real racing feel like Real Racing 3.